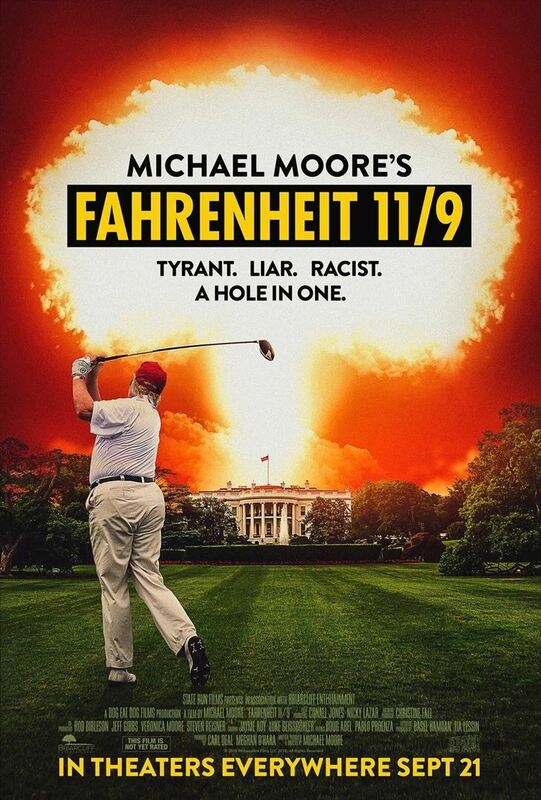 Fahrenheit 11/9 is a political documentary by Oscar-winning filmmaker Michael Moore. What brought it about was the US presidential election in 2016 and the subsequent presidency of Donald Trump. 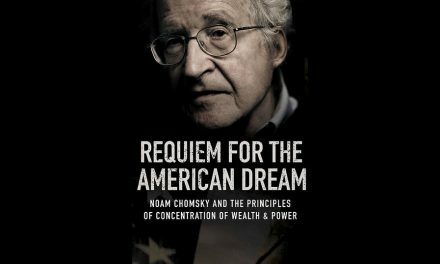 It’s a provocative look exploring the two most important questions of the Trump Era: “How the f**k did we get here, and how the f**k do we get out?” (Michael Moore) The film premiered on September 6, 2018 at the Toronto International Film Festival. At times Moores Fahrenheit 11/9 irritates due to its jumpiness. You keep asking yourself, where is the focus and how do the scenes fit into the broader picture. Here are a few considerations, that may help to better understand the movie, in its achievements, but also in its weak points. On november 9, 2016, Donald Trump’s victory in the presidential election was officially announced. The title refers to Moore’s film Fahrenheit 9/11 (published 2004), which appeared shortly before the election of George W. Bush in 2004 and is a warning against his “war on terror”. Both titles relate to Fahrenheit 451, a dystopian novel by Ray Bradbury. It’s about the temperature of 233 degrees Celsius, which corresponds to 451 degrees Fahrenheit. At this temperature, paper ignites without further external action. 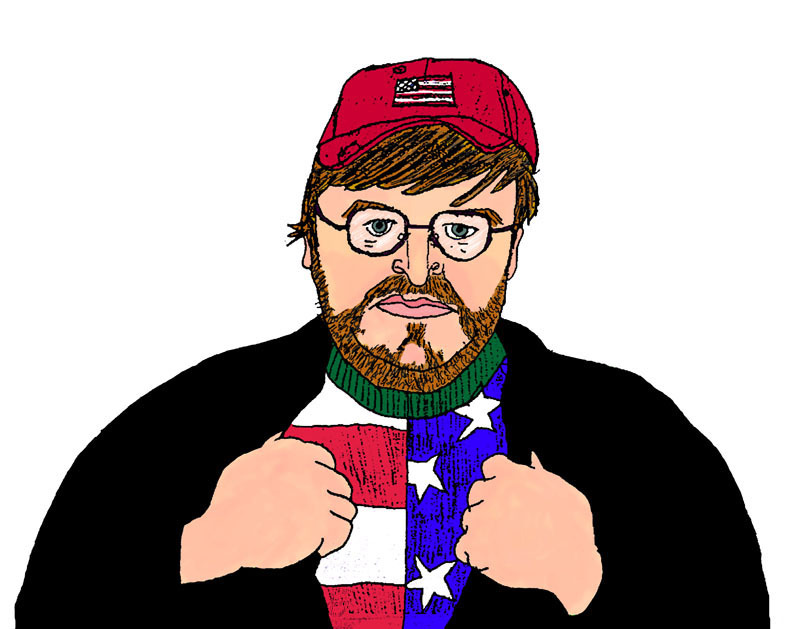 Is Moore’s new film documentary a sequel to Fahrenheit 9/11? Fahrenheit 11/9 is a completely independent film. About 20 years ago, when Moore and Trump sat together in a talk show, Trump admitted that he hoped Moore would never make a movie about him. The new film documentary reserves about 20 minutes for Trump. Moore, to say the least, feels uncomfortable with the new president. The film looks back and tries to reappraise the shock: Moore focusses on two questions: How could it happen that Trump, whom psychologists attested a “malicious narcissism”, could have become president of the US and what could be done in the future to prevent such a situation. Trump is shown with his misogynistic comments, his failures against minorities. But the media are also shown, devoting generous airtime to a seemingly hopeless Presidential candidate, because they first thought to gain a lot of laughter and a lot of money – and thus paved the way for their greatest enemy. However, Fahrenheit 11/9 is not a trump-bashing film nor is it a hymn of praise to the Democrats. It’s an attack on the whole system where Trump is a symptom, not the disease. Moore devotes much of his time in the film to his hometown Flint in Michigan, where since 2014 the tap water for the majority black population had been poisoned. After a change in the drinking water supply in the city, many residents were ill. The water extracted from the Flint River was contaminated by lead and harmful germs. Moore accuses the then Republican Governor Rick Snyder and the authorities to have deliberately accepted the damage to the population for profit and covered it up for months. Earlier, Moore had written a letter to Governor Rick Snyder and filed a petition requesting the United States Attorney General to prosecute and arrest Snyder for his acting in the Flint Water Crisis. In the film, Moore drives in front of Governor Rick Snyder’s estate with a fire engine and when the politician does not open he begins to sprinkle the governor’s garden with the poisoned water from the river. In 2016, at the height of the crisis, then-US President Obama came to Flint, as the “last hope”, but he disappointed. Obama blamed the crisis in Flint on a mindset that “less government is the highest good,” which he said led to a disinvestment in poor communities. For Moore, as for many others, Trump is a sexist and racist, which misleads him to draw parallels to the “Third Reich”. He underlays scenes of a Hitler speech with o-tones of the president. This is – politically – nonsense. Here Moore definitely overshoots his goal. Moore’s message is clear and distinct: When the people are continuously told that their vote doesn’t count, that it doesn’t matter, and they end up believing that, this loss of faith in our democracy is our death verdict. So, don’t let it happen, go out and vote.